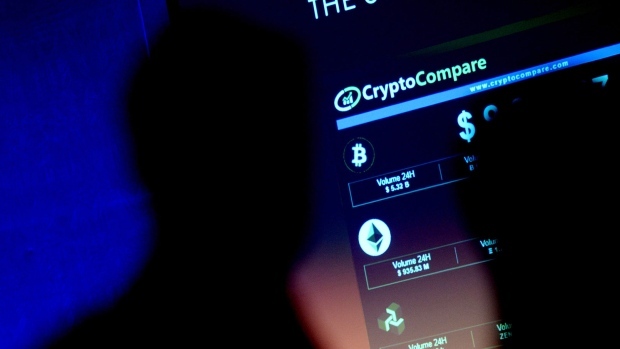 Defunct cryptocurrency exchange owner Quadriga Fintech Solutions Corp. should be shifted out of restructuring into bankruptcy proceedings to help cut costs and facilitate the recovery of assets for creditors, the company’s court-appointed monitor said. The Vancouver-based exchange owes about 115,000 clients some $260 million after its founder Gerald Cotten died in December without telling anyone how to recover the cryptocurrencies held for clients. Quadriga’s platform was shut down on Jan. 28 and entered into creditor protection in early February. The chance of it emerging from restructuring "appears remote" and the investigation to recover assets can be handled more efficiently in bankruptcy, monitor Ernst & Young said in a report dated April 1. Bankruptcy would be more cost effective and would also allow the trustee more investigatory powers, including the right to compel production of documents and seek examination of parties under oath, Ernst & Young said. It would also allow for the potential sale of assets, such as Quadriga’s operating platform, it added. Cotten ran Quadriga mostly from his laptop and his sudden death while traveling in India threw his business into disarray. Speculation has swirled around the company as a series of peculiar details have filtered out. Digital storage accounts used by Quadriga to hold Bitcoin for clients were empty for months before Cotten’s death, and Cotten’s early partner and co-founder has turned out to be a convicted criminal. Ernst & Young said in its latest report that Cotten appeared to mix his business and personal affairs, and that Quadriga funds may have been used to acquire assets outside the company. It has prepared an order requesting a freeze on all assets held by Cotten’s estate, his widow Jennifer Robertson, Seaglass Trust, Robertson Nova Consulting Inc. and Robertson Nova Property Management Inc.
Quadriga has also been seeking the return of customer funds held by third-party payment processors, including POSConnect Inc., VoPay International Inc., BillerFY Labs Inc., Costodian Inc., WB21, 700964 N.B. Inc. and 1009926 B.C. Ltd. Additional processors have subsequently been identified, including Robertson Nova Consulting whose sole director is Jennifer Robertson, the report said. Ernst & Young said it was encountering difficulties with some of those processors: letters to BillerFy and Costodian have gone unanswered, while WB21 -- believed to "hold a significant amount of funds" -- has been "uncooperative with each of the requests of the Monitor and has not provided even basic information," according to the report. According to a March cash flow statement included in the report, Quadriga failed to collect any of the $589,388 in receivables from third party processors or more than $5.8 million in bank drafts. "Demands for the return of funds have been issued however the timing and quantum of future collections remains uncertain," the report said.